Is this the new screen style that Apple needs to follow? The Huawei Mate 20 could set a new trend for smartphone screens with a new "waterdrop" style display that does away with bezels and features a tiny notch. 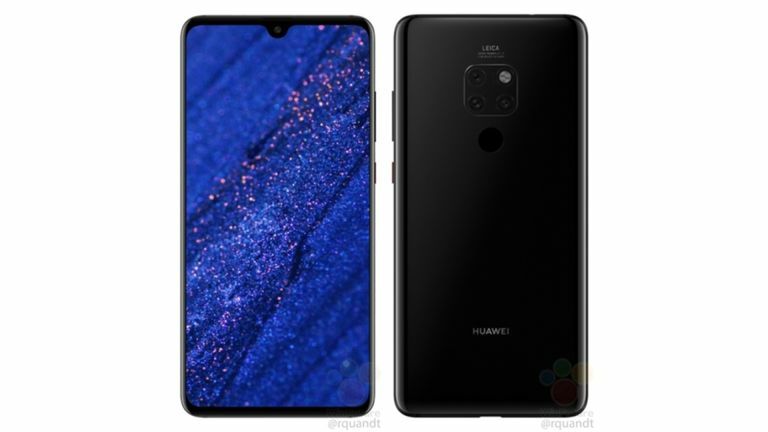 New renders have appeared online showing off what we might see when the Huawei Mate 20 arrives. It appears that this phone will come close to the perfect bezel free screen, only with a small notch for the camera. Other leaks suggest this will be larger than the Mate 20 Pro with a 6.4-inch LCD display with 2244 x 1080 resolution. The handset should run on a Kirin 980 octa-core CPU with up to 8GB of RAM and 512GB storage. All this should be run by a whopping 4,000mAh battery. That single lens front-facing camera might make the screen look good but it won't offer facial recognition due to a lack of sensors. Instead there should be a rear placed fingerprint sensor that sits under the back camera. This is expected to be a triple lens snapper with LED flash. The Huawei Mate 20 and Mate 20 Pro are expected to launch on October 16.